Artist and alum Mahmood Popal will be available to mentor students and recent alumni as part of the Creative Professional-in-Residence program. Artist and alum David Salazar will be available to mentor students and recent alumni as part of the Creative Professional-in-Residence program. Mahmood Popal is an Afghan - Canadian, Toronto based multi-disciplinary artist and designer. Popal graduated from OCAD University in 2007 with a focus on Industrial design and fine art. In 2011 Popal launched his creative studio, MAAST, that focuses on commercial interior design projects, private commissions and public art projects. The studio has worked on a wide range of projects for Art Gallery of Ontario (AGO), Sub-zero-Wolf, Sid Lee, Metrolinx, City of Toronto, East End Arts, Google, Capital One, Achievers, Konrad Group, Embrace, HERSHEY- REESE’S, Ford, Belair Direct, Think Tank Creative, Robarts Spaces China, The Stop Community Food Centre, Mile Inn and Apollo Studios. We invite students to schedule meetings with the current Creative Professionals-In-Residence to engage in activities such as portfolio reviews, career advising, informational conversations, and on-campus studio visits. Students can set up a time with the residents by contacting Shellie Zhang, Community Animator at the Centre for Emerging Artists and Designers, or by a drop-in basis depending on availability. We also welcome opportunities to connect the residents through classes and curriculum. The new OCAD U Creative Professionals-In-Residence program is a mentorship initiative created to support the career success of current OCAD U students and recent alumni. It is also an opportunity to facilitate community and relationship building for emerging artists and designers. The Creative Professionals-In-Residence program sees invited professional guests, from a variety of art and design-related disciplines, present on a regularly scheduled basis over the course of the academic semester, in the new Rosalie Sharp Pavilion for Experiential Learning at 115 McCaul Street. Visiting creative professionals are alumni of OCAD University, invited to provide mentorship to current OCAD U students and recent alumni. This fall’s residents are David Salazar and Mahmood Popal. David Constantino Salazar is a sculptor with a studio practice highly focused on hand modeling clay and fabricating sculpture in various materials. His practice reflects research into the use of animal forms as cultural symbols to explore the borders between necessity and excess, desires, and addiction. In 2017, Salazar completed the Interdisciplinary Master’s in Art, Media and Design degree (IAMD) at OCAD University. Ada Slaight Student Gallery, Room 225, 100 McCaul St. The Gladstone Hotel and OCAD U Career Development are excited to announce the Come Up To My Room Career Launcher. Successful applicant(s) will transform a hotel room into a complete immersive, “otherworldly” environment art installation. In addition to the exhibition opportunity, the Career Launcher recipient will also receive a production grant from the CEAD. The Gladstone Hotel and the Centre for Emerging Artists and Designers are excited to announce the Come Up To My Room Career Launcher taking place between January 17 and January 20, 2019 at the Gladstone Hotel. Come Up To My Room (#CUTMR) invites OCADU graduates to propose a site-specific, immersive installation that stimulate the imagination and encourage discussion and dialogue between contributors and visitors alike. Successful applicant(s) will transform a hotel room into a complete immersive, “otherworldly” environment art installation. In addition to the exhibition opportunity, the Career Launcher recipient will also receive a production grant from the CEAD. 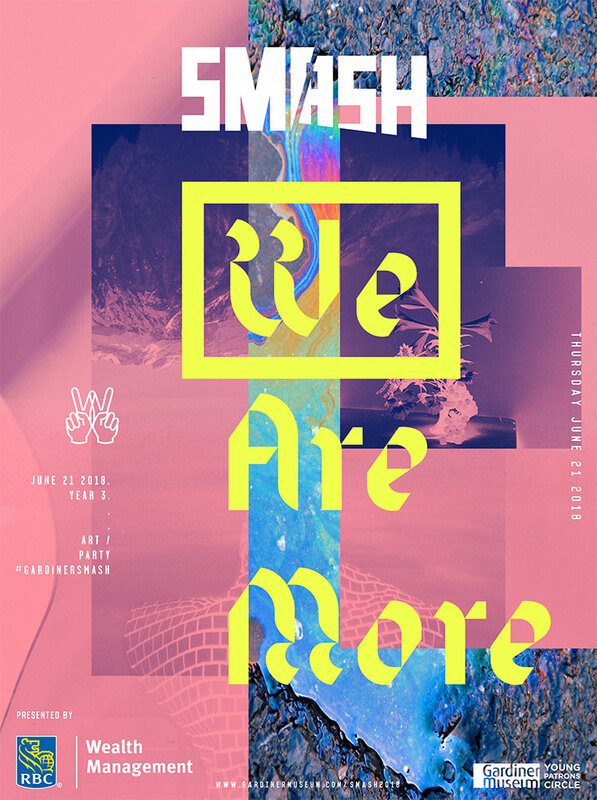 Framed within the backdrop of the historic 130-year-old Gladstone Hotel, CUTMR is an alternative design exhibition that provides a platform for experimentation outside the norms of art and design, at the edges between intention and interpretation. Freed from the constraints of traditional practice, CUTMR encourages spatial exploration that engages our senses, our memories and our perceptions of reality. Full contact information (Name, phone, and email) and current CV. Online portfolio links or a corresponding image list PDF and images (ArtistName_Image.jpg) of 2-5 previous projects. One page expression of interest specific to CUTMR 2019. A 150-word description of the proposed project. 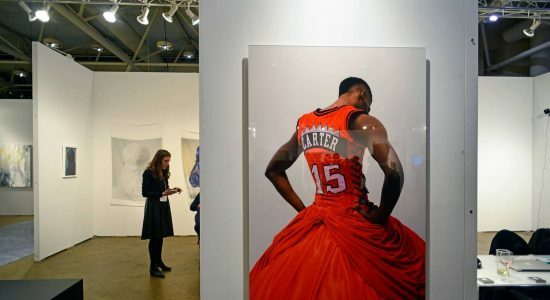 Mohamoud's incredible sculptures (and photos that depict them) challenge conventional conceptions of gender through the lens of professional sports, namely the NBA. You can find her work at ltd los angeles. Mohamoud's work was also shown at the AGO as part of the gallery's exhibition, Every. Now. Then: Reframing Nationhood, which features work from emerging and established artists across Canada. It is an impressive collection of sculptures, paintings, photography, soundscapes, dioramas and textile works that attempt to grapple with the questions of Canada's past, present and future possibilities. On to December 10, it opened on the eve of the contentious 150-year celebrations. Congrats to our IAMD MFA Alumni; Omar Badrin, Jason Deary, Esma Mohamoud, and current student; Brad Phillips, for exhibiting their work in this prestigious exhibition. Drawing and Painting is presenting four upcoming talks by visiting Alumni Artists. Each year graduates are invited to give an artist talk and meet with our fourth year students throughout the year. Please bring your classes to Central Hall, room 230 on Tuesday November 14 Janine Miedzik will talk from 12-12:45. Janine Miedzik’s practice articulates observations and responses to the built environment that encompass a range of media; drawing, painting wall-works photo-based collages installations and sculpture. Her work has been exhibited at Drabinsky Gallery in Toronto and been included in several group exhibitions in Canada and most recently in Berlin and Denmark at ARHUS Art Academy. In June 2012 Janine produced a large-scale commissioned wall-work for Relative Space in Toronto. Her work in held in corporate and private collections in Canada, the U.S, the Netherlands and U.A.E. Miedzik received a BFA with distinction from OCAD University and works in Toronto Canada. She is the recipient of Anne K. Adler Award for Contemporary Art, the Curry’s Scholarship and the Relative Space Commission Prize.